B-rubber is the first hand poured soft bait from Swedish Brunnberg Lures. Well known for the high quality of his series of hand made baits for pike and musky, this soft bait is sure to be a success. B-rubber has a soft rolling body with a nice kick in the tail. 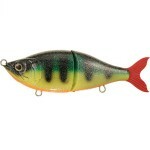 The bait measures 20 cm, weighs about 66 gr and comes ready rigged for double treble hooks. 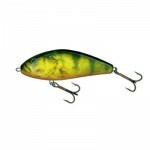 Category: Brunnberg Lures, Lure Videos, and Swimbait/Softbait. 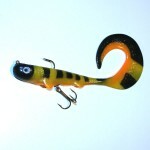 Tags: bb lures, brunnberg lures, handmade lure, handpoured lure, softbait, and swimbait.